We blogged about the extension granted by the Department of Justice for existing pools to comply with the new ADA Standards for providing accessible entry and exits. Just days after issuing its “Final Rule,” the Department of Justice published a fact information page with Questions and Answers regarding Accessibility Requirements for Existing Swimming Pools at Hotels and other Public Accommodations. The DOJ’s Q&A attempts to answer questions regarding whether your pool shall require accommodations. This blog post analyzes the Q&A. I read a story in the Virginia-Pilot in which it described an incident of Citizen’s Arrest. In the story, a fire inspector, using a flashing blue light on his car, stopped a female driver. He claimed the driver had been swerving, and he stopped her because of his concern she may have been drinking. A Suffolk, Virginia detective witnessed the incident. After consultation with fellow police officers, the police department urged the Commonwealth’s Attorney to press charges against the fire inspector for impersonating an officer. What Should You Expect From Your Attorney? I read a recent article in the ABA Journal that differentiated between the teaching of “issue spotting” versus “problem solving” in law schools. This article strikes at the core of the services we provide as attorneys. We believe firmly that although it is our responsibility to help identify potential issues that you may face, our legal advice is fully realized when we help you solve your problems. Richmond Construction Law attorney Chris Hill, my friend and colleague, permitted me another opportunity to blog at his award-winning blog Construction Law Musings. Chris is an outstanding Virginia attorney, and his blog is a great source of information on construction law, including the intricacies of mechanic’s liens. You can also follow him on Twitter, @ConstructionLaw. When either a commercial or residential condominium development nears the time of automatic transition, the developer and the owners face many challenges. The developer, or “Declarant,” must transfer responsibility for management, enforcement of the Condominium Instruments, and finances, amongst other responsibilities, to the new owner-controlled Board of Directors. With the pending departure of the Declarant, owners can become concerned about possible construction defects with the common elements. This blog post discusses the process and responsibilities under the statutory warranties provided by the Virginia Condominium Act. Read the complete blog at Construction Law Musings, as well as many other informative posts on Chris’ outstanding blog. Thanks again, Chris! Readers of our website may notice that we list “Estate Administration” as an area of our practice. We assist executors of wills, or personal representatives of estates to properly dispose of a decedent’s assets. the most recent Will was made under the undue influence by a person who held a position of trust and confidence with the decedent. In the case of Weedon v. Weedon, an older woman with a diagnosis of multiple myeloma revised her Will in 2007. Prior to surgery in 2008, she decided to revise her Will again. As part of the revisions, the testatrix decided to bequest all of her real property to just one of her five children (who had also taken the role of caregiver for her mother). Four days after signing the new Will (and three days after surgery), the decedent died. After the will was probated, the remaining four children sued their sister seeking an order that either their mother lacked the mental capacity to make the revised Will; or that the revised Will was made as a result of their sister’s undue influence. 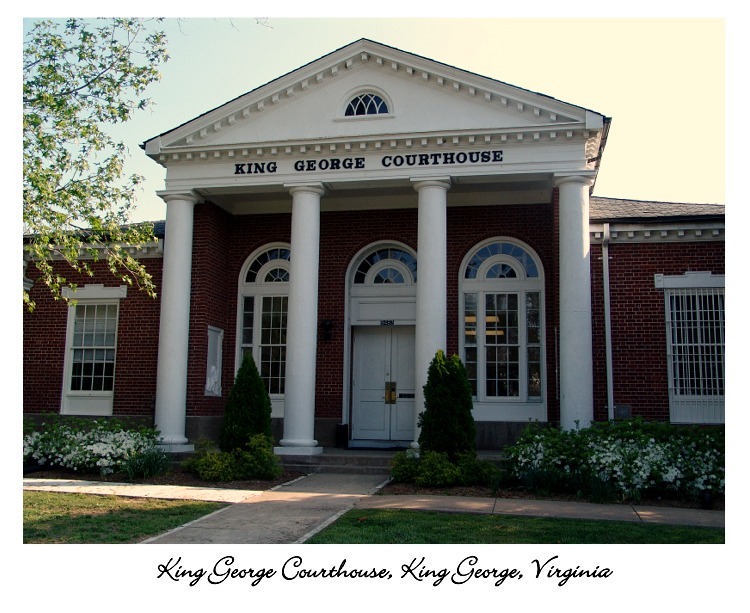 The King George Circuit Court determined that the decedent lacked the testamentary capacity when she executed the Will and that the Will was the result of undue influence, but the Virginia Supreme Court reversed. In this blog post, we examine the direction given by the Virginia Supreme Court in determining whether a decedent had the mental capacity at the time the Will was made. When is a “Contract” not a Contract? We know that in Virginia, the parties to a contract are bound to the terms of that contract. We also know that Virginia courts look to the terms of that contract to determine each party’s rights and obligations. But what is a “contract?” This blog post looks at a recent Virginia Supreme Court case that gives a little guidance to answer that question. It’s a fundamental rule in Virginia that the Plaintiff (the person filing a lawsuit) can only recover the relief requested in the Complaint. In a recent unpublished decision, the Virginia Supreme Court reaffirmed the requirement that a party can only get relief if they ask for it. Stop in the name of the…homeowner association! – Can private HOA security forces pull you over? Virginia’s Attorney General, Mark R. Herring, published an advisory opinion concerning private security forces used by community associations (the “Opinion”). These security forces often act as quasi-police departments and help relieve localities by providing routine patrols in private communities. In the Williamsburg area, the local police often defer to HOA security forces for regular patrols, and health and safety checks. When it comes to more serious police action, like issuing traffic tickets and arresting homeowners, the roles and authority of HOA security forces becomes less clear. This blog post discusses the role of private security forces in homeowners’ associations and the Opinion that addresses some of these concerns. An article in the Washington Post discussed a pending case in the Virginia Supreme Court regarding a dispute between property owners and a community association regarding the owners’ operation of a vineyard and retail store on their property. In an unpublished Order, the Virginia Supreme Court upheld a Fauquier County jury verdict for the property owners that had been set aside by the trial court. Although unpublished orders do not have “precedential value or . . . significance for the law or legal system,” this case does provide us with a look at how difficult it can be for community associations to interpret their governing documents and also how a board’s previous actions may have an effect upon future enforcement of the community’s declarations and covenants. This blog post will review the facts of that case and its applicability to your HOA. Can an engineering firm limit its liability by contract? Maybe not, in certain circumstances. A Fairfax County judge has determined that an engineering firm cannot limit its liability by contract in a case involving a 2008 fee contract. The typical fee agreement for an engineering firm includes some form of “limitation of liability” in which the firm seeks to limit its liability “to the amount of fees paid” to the firm, whether the claim is for breach of contract or warranty, or for negligence. In the case of Dewberry & Davis, Inc. v. C3NS, Inc., the engineering services firm, Dewberry, filed a fee claim against C3NS. C3NS filed a counterclaim for breach of contract. Dewberry had a limitation of liability clause in its fee agreement. It sought summary judgment to prevent C3NS from claiming that the limitation of liability paragraph was void. The Court sided with C3NS.